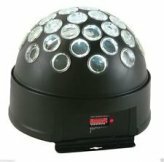 A modern style disco ball, which gives out white or coloured lights and is capable of being used in different modes at the press of a button. 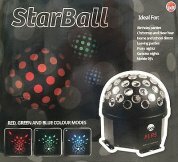 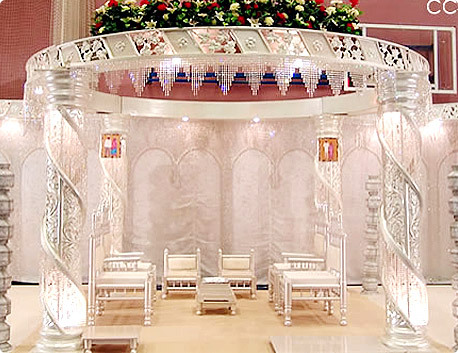 Suitable for small parties at home or larger functions to give a great effect, but without the need to pay huge amounts of money. 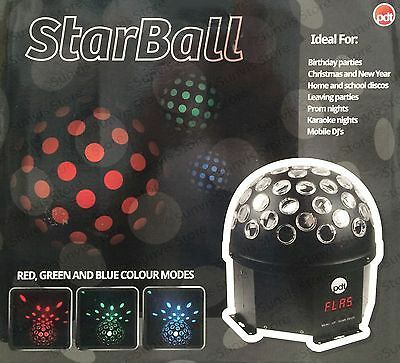 The unit can be set to red, green, blue or a mix of these colours (RGB), as well as a mix of 7 different colours, strobe light effect, or can even be set to dance with your music.